Was Gospel for Asia Vindicated by the RICO Settlement? However, GFA still isn’t being transparent with the public on multiple counts. The “field” is a big place and just because funds get to Asia doesn’t mean they were spent as designated by donors. The plaintiffs did not stipulate to that nor did the settlement document attest to that. In the past, I have provided evidence that GFA has collected funds to send to Asia but used them for purposes other than intended by donors. A tax court in India also asserted the same thing. Then, there is the matter of $20-million which came back from Asia to help finance the Texas headquarters. Donors did not give $20-million to finance a compound in Wills Point, but at least some of those funds first went to the field before they came back to Texas. Furthermore, GFA still isn’t being transparent with donors about the charity registration situation in India. GFA and Believers Church in India lost their registration status in India and cannot directly take foreign contributions. No doubt GFA is sending funds to shell organizations in India but this flaunts the law there. I and others have repeatedly asked GFA how Bridge of Hope and flood relief funds are getting to Indian recipients, but they have given false answers. If GFA is actually going to try to get membership again in the Evangelical Council for Financial Accountability, the organizational leaders will have to be accountable to the public. Although most of the GFA board remains intact, Garland Murphy and one more outsider will join the board soon. In addition, a subcommittee of the board –which does not include Yohannan or his son — will report to the federal judge for three years. All of this should make the board more transparent. When GFA will not answer questions or provide answers, I know two board members who will have no incentive to keep any secrets. More than transparency, I hope the board becomes independent. The board will be required to learn about fiduciary responsibility and act accordingly. Given the precarious place K.P. Yohannan has taken GFA in recent years (loss of ECFA and NRB memberships, loss of recognition with federal government’s giving campaign, RICO lawsuit, etc. ), I have to believe any reasonable board would have to look at his status as CEO. The track record isn’t good. Perhaps it is time for the board to act in the interest of GFA. In short, GFA lives on but has not yet been vindicated. Author Warren ThrockmortonPosted on March 3, 2019 March 3, 2019 Categories Believers Church, Francis Chan, Gospel for Asia, K.P. YohannanTags Gospel for Asia, K.P. Yohannan, Murphy v. GFA19 Comments on Was Gospel for Asia Vindicated by the RICO Settlement? Why Hasn't Gospel for Asia Told Donors about Cancellation of Charity Registration in India? At the beginning of October, The Times of India reported that the Indian government canceled the charity registration of Believers’ Church. BC is the field partner of Gospel for Asia in the United States. GFA is the second largest missionary organization in the U.S. According to the report in The Times of India, Believers’ Church acknowledged that the church was not bringing in foreign funds. If BC (along with Gospel for Asia –now known as Ayana Charitable Trust — and other related trusts) is bring money into the country, then why hasn’t GFA alerted international donors? There is no assurance that funds now being given for India will get there. And yet, GFA continues to raise money as if those funds are all going to “the field.” The image below is from GFA’s website. I searched throughout the GFA website but found nothing about the cancellation of GFA’s registration on the field. Perhaps GFA is sending the money to other Asian countries or other obscure affiliated charities. However, donors should know what is happening. Currently, GFA is being sued by two couples in separate fraud cases in part because the donors believe their funds were not dispersed as they intended. It seems to me that GFA is setting themselves up for more such accusations by not telling donors that the funds for Indian missionaries, Indian children sponsored through Bridge of Hope, and other India-specific donations have been restricted from India. In contrast to GFA’s silence, Compassion International has been quite vocal about the fact that the organization’s registration in India was .removed. For CI, the blow isn’t as dramatic since their operations are worldwide. However, most of GFA’s work in in India and their founder, K.P. Yohannan is a native of the Indian state of Kerala. CI has offered donors the option to sponsor children in other nations and has been up front about it. GFA, on the other hand, has done nothing to alert donors who continue to give as if their funds are allowed to go into India. Compassion and GFA were registered under the same Ministry of Home Affairs and the removal of that registration has the same implications. Compassion is being candid and transparent; GFA is not. Author Warren ThrockmortonPosted on October 24, 2017 Categories David Carroll, Francis Chan, Gospel for Asia, K.P. YohannanTags Believers' Church, Compassion International, Gospel for Asia, K.P. YohannanLeave a comment on Why Hasn't Gospel for Asia Told Donors about Cancellation of Charity Registration in India? 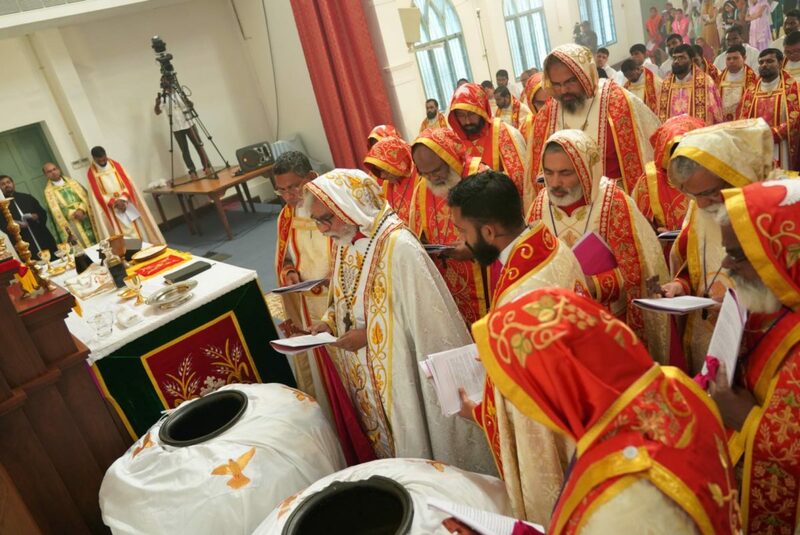 In a shocking move, the Believers’ Church in India led by their Metropolitan bishop K.P. 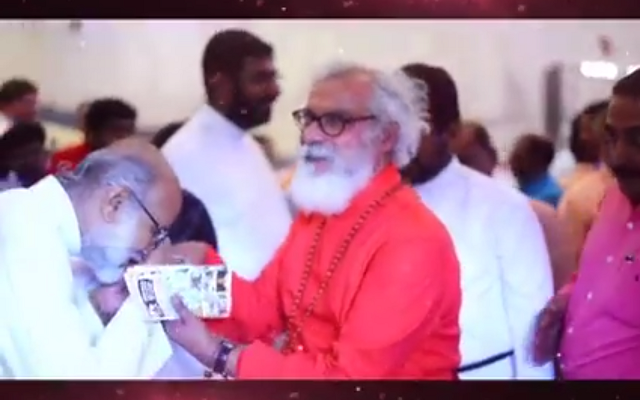 Yohannan has sued the Church of South India for defamation. According to Christian Today, the Church of South of India, affiliated with the Anglican Communion, doesn’t recognize Yohannan as a bishop. Recently, the CSI publicly said the church only sees Yohannan as a layman and not a bishop. For that reason the CSI pulled out of the National Council of Churches in India. The CSI has never recognized Believers’ Church which has been a source of conflict among Indian Christians. Believers’ Church has now accused CSI of defamation. This lawsuit comes just days after Believers’ Church and three other affiliated charities were stripped of their government registration to receive foreign funds. This means they are no longer able to accept foreign funds for their charitable work in India. They continue to operate on the funds raised in India. The aggressive action by Believers’ Church comes as former donors have filed two fraud and corruption lawsuits against Gospel for Asia, the U.S. sister organization. Both groups were founded by K.P. Yohannan. Donors should be aware that the two major organizations run by K.P. Yohannan — Gospel for Asia and Believers’ Church — are now engaged in funding three lawsuits. This means that donor funds will be used to either fund legal action or to subsidize other activities while other funds are used to pay attorneys. It is mind blowing that Believers’ Church has willingly sued the largest Protestant church in India for exercising religious liberty. The CSI believes K.P. 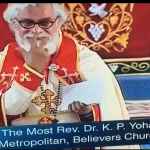 Yohannan isn’t a bishop. That is within the right of the CSI to administer those offices as they believe is right. The Believers’ Church lawsuit sets a dangerous precedent. Will Hindus now sue Believers’ Church for suggesting that Christianity saves and Hinduism doesn’t? 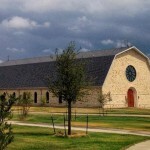 A church suing another church over speech is scandalous and should be widely condemned. On Wednesday, the Western Arkansas federal district court rejected Gospel for Asia’s request for a stay of trial proceedings while an appeals court considers GFA’s motion to dismiss the case. This will allow the case to proceed to discovery and trial. The only foreseeable “harm” of discovery in this forum is that it might reveal that Defendants have, in fact, committed fraud against Plaintiffs and the purported class. This is not the kind of harm a stay is intended to prevent. Because this Court has no control over appellate dockets or calendars, the risk of harm a stay poses to Plaintiffs and putative class members is substantial. The public interest weighs heavily against staying this matter. It is certainly the case that the Federal Arbitration Act’s liberal preference for arbitration would favor a stay if Defendants were more likely to succeed on the merits of their appeal. However, the gravity of Plaintiffs’ allegations—that between 2003 and 2014, Defendants fraudulently solicited $700,000,000 in donations from putative class members, and that Defendants continue to fraudulently solicit such donations—and the publicity generated by those allegations give rise to a strong public interest in resolving the merits of this dispute. In another development, another donor couple have requested to join the suit against GFA. Plaintiffs Matthew Dickson and Jennifer Dickson and proposed Plaintiffs-Intervenors Garland D. Murphy, III, M.D. and Phyllis A. Murphy (residents of this jurisdiction) respectfully request the Court to grant the Murphys permission to intervene as Plaintiffs and proposed class representatives, and to file the proposed amended complaint attached hereto as Exhibit A. The Murphys donated to GFA but were never employees of GFA. We consider it a blessing to finally have the opportunity to bring this matter to full resolution through an impartial arbiter, and you can rest assured that in the meantime we will continue operating on behalf of some of the world’s most desperate people in some of its most complex environments. However, since then, GFA has attempted to have the suit dismissed and is now appealing the most recent ruling which would allow the RICO case to proceed to discovery and trial. GFA would also like the federal judge to grant a stay of discovery while the appeal is being decided by the Eighth Circuit Court of Appeals. Defendants ask the Court to use its discretion to grant them a stay, delaying all proceedings in this case for however long it takes the Eighth Circuit to dispose of their appeal of the Court’s carefully reasoned Order denying their motion to compel arbitration. Under a straightforward application of the four-factor analysis that governs the disposition of such requests, Defendants fail to carry their burden. And Defendants’ alternate argument for a “mandatory stay” is neither supported by Eighth Circuit law nor otherwise warranted. This important case potentially affects the rights of tens of thousands of donors across the country, and it should not be delayed a day longer. The Court should deny Defendants’ request. Apparently, GFA no longer counts it a “blessing” to have the opportunity to bring these allegations to “full resolution through an impartial arbiter.” If GFA’s leaders really want that blessing, then they should allow the case to proceed to discovery. It is hard to take GFA’s claims seriously when they are doing everything possible to keep the case from moving forward. In April 2016, Gospel for Asia’s celebrity attorneys asked the Western Arkansas District Court to either dismiss the RICO suit against them or to require plaintiffs Matthew and Jennifer Dickson to submit to binding arbitration. Today, the court declined to dismiss the case. Furthermore, they declined to require the Dicksons to enter arbitration, ruling that their employment contract did not envision a case such as this. Plaintiffs’ complaint is sufficiently pled to overcome the hurdles posed by Defendants’ motions to dismiss, and this case must proceed to discovery. IT IS THEREFORE ORDERED that Defendants’ motion to compel arbitration (Doc. 23) is DENIED. IT IS FURTHER ORDERED that Defendants’ motions to dismiss (Docs. 25 and 27) are DENIED. IT IS SO ORDERED this 18th day of January, 2017. Over the next several days, I hope to review my posts concerning GFA from 2015 which should give some indication of what discovery will be like for the defendants. 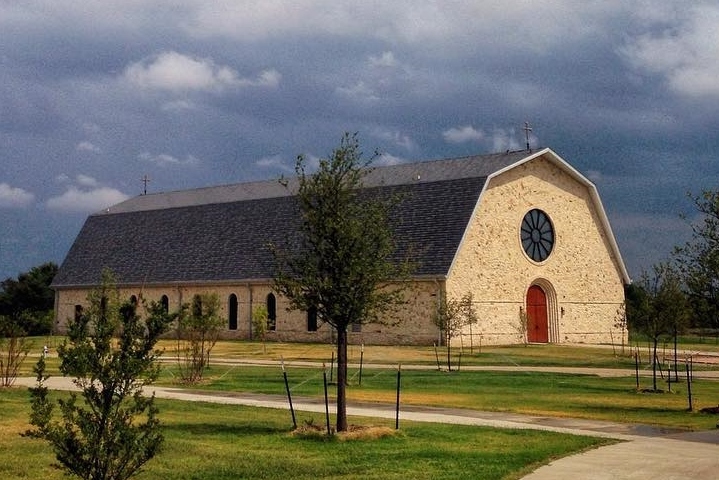 In 2014, when Gospel for Asia moved to the current Wills Point, TX location, staff were told they could pick out a plan to build a brand new home. Eventually, staff were charged a monthly fee to live in the complex after the homes were build. 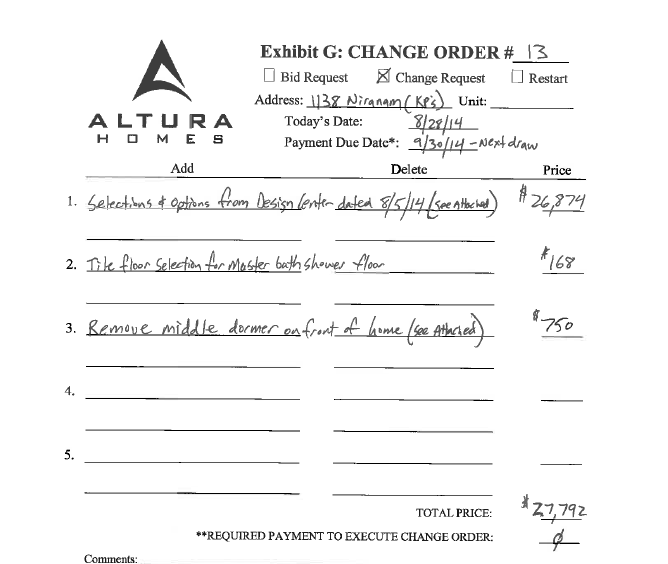 Without special permission, no deviations were allowed in the plan selected from the options offered by Altura Homes. K.P. Yohannan’s house costs are circled in red. His home cost $228,240 whereas no other home exceeded $135,000. He also made costly changes to the pre-existing plan making it a custom built home. See below for a summary of one change order (see the entire six page itemized change order here). Religion, I discovered, is a multi-billion dollar business in the United States. Entering churches, I was astonished at the carpeting, furnishings, air conditioning and ornamentation. Many churches have gymnasiums and fellowships that cater to a busy schedule of activities having little or nothing to do with Christ. The orchestras, choirs, “special” music—and sometimes even the preaching— seemed to me more like entertainment than worship. Many North American Christians live isolated from reality—not only from the needs of the poor overseas, but even from the poor in their own cities. Amidst all the affluence live millions of terribly poor people left behind as Christians have moved into the suburbs. I found that believers are ready to get involved in almost any activity which looks spiritual but allows them to escape their responsibility to the Gospel. *For those new to my posts about Gospel for Asia, start at the beginning and work your way back. You could also start with this post. For years, Gospel for Asia touted membership in the Evangelical Council for Financial Accountability and claimed to adhere to the highest standards of financial integrity. In October 2015, the ECFA revoked the membership of GFA due to numerous violations of accountability and financial standards. I’m sorry but I won’t be able to send you those. Because of the lawsuit we’re quite restricted on what information we can give out. This doesn’t seem right to me. I can’t imagine that GFA would be allowed to keep the audits from the court. I can’t see how public disclosure from a non-profit would influence the court case — unless there is something incriminating in the audits. If GFA can’t disclose what people are giving and how they spent those funds, perhaps the organization should suspend operations until the case is over. In any case, as a potential donor to any organization, I would not donate unless I could see this information. Yesterday, I noted how K.P. Yohannan criticized missionary hospitals and schools in his first book but now funds them in India with millions of donor dollars. Today, at the suggestion of a reader, I take a look at similar criticism in his third book, originally titled Why the World Waits. On pages 245-246 Yohannan’s 2004 edition re-titled Come, Let’s Reach the World, Yohannan poses some questions prospective donors should ask about mission organizations. While I don’t know the answers to all of them as applied to GFA, the answers I do know suggest Yohannan’s GFA fails his own test. Ask questions relating to financial and administrative standards. 1. Is an annual audit done by a certified accountant? Until I reported on errors in the 2013 audit, GFA published an audit available by request. According to GFA sources, the most recent audit for 2014 has been completed but GFA won’t release it. 2. Is the audit made available to the organization’s constituency? Not currently. For many years, GFA refused to post their audit citing security concerns. However, until recently, one could request a copy by mail. Now, GFA will not release an audit of the U.S. affiliate. To my knowledge, there is no public audit of the Indian organizations (i.e., GFA-India, Believers Church). The actual ratio is a matter of debate. For many years, GFA claimed to send 100% of donated funds to the field but an analysis by Jason Watkins casts doubt on that claim. There is ample reason to suspect that many donations have gone to pay for hospital construction as well as other projects not designated by donors. 4. Are all documents, assets and the like in the name of the organization (not an individual leader)? No, Believers’ Church* policy requires that property and assets be listed under the name of K.P. 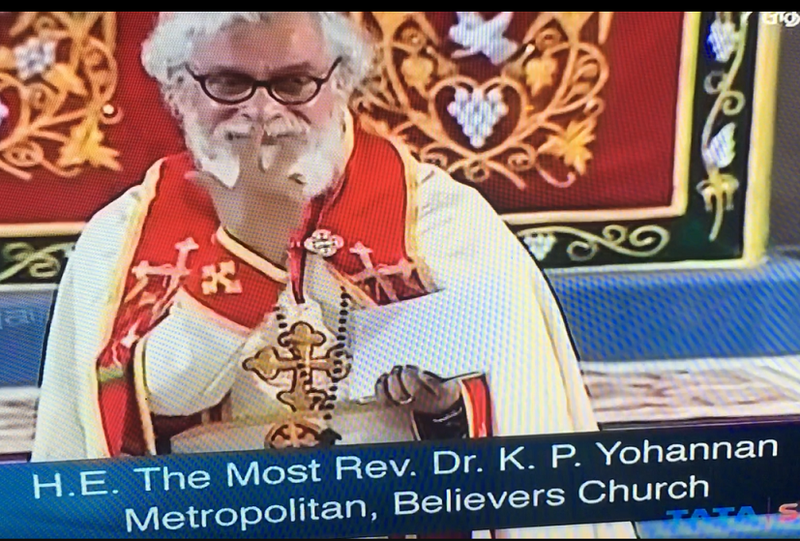 Yohannan as Metropolitian bishop along with the church. As I have documented, GFA has amassed an empire of for profit schools and hospitals. They own a rubber plantation, a finance company, rental properties, and sponsor a professional soccer team. An Indian tax court found that GFA did not spend “substantial” funds as donors intended. According to Watkins financial review, only a tiny portion of the donations went to evangelistic activities. 6. 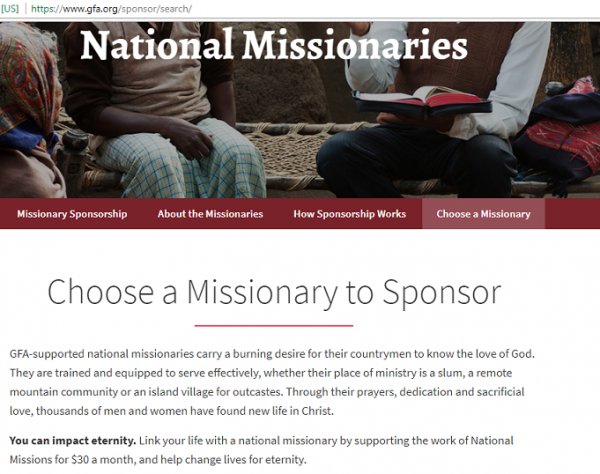 Is the missionary or group receiving any financial assistance from other sources? GFA receives funds primarily from donors in the U.S., Canada and the UK. 7. Is there a written agreement to declare all sources of income for any given project? In the past, GFA promised to spend funds in accord with donor intent. After losing membership in the Evangelical Council for Financial Accountability, GFA changed their promise to make it more explicit that the organization may use donated funds for purposes other than donors intend. 8. Is the group registered with the government as a charitable or nonprofit organization? According the Believers’ Church constitution, funds cannot be spent without the oversight of the Metropolitan Bishiop (Yohannan). He has relatives on his boards (his wife, son, daughter, son-in-law and niece are on various boards with oversight over the funds). 10. Are the accounts jointly operated (that is, at least two people responsible for handling the funds)? As noted above, Yohannan has the final say on how money is spent. There is a committee which exercises oversight but Yohannan has veto power over all actions of the Believers’ Church. His name is on the deed to all properties. 11. Are written and signed receipts kept for records of how money was spent for any given project or missionary? When GFA illegally sent U.S. currency to India in student backpacks, students and staff were promised receipts. However, for the most part, these were not given to students and one staff member had to implore Yohannan and the U.S. leadership for receipts. 12. Who makes decisions that govern the activities of the mission? Clearly, by Believers’ Church constitution, the decisions are made by K.P. Yohannan. According to former staffers, the same is true in the U.S., the board has very little role. One former board member Gayle Erwin left the board because he became convinced that Yohannan was withholding information from the board. Furthermore, Yohannan re-wrote a report Erwin penned because Yohannan perceived that the report portrayed GFA in a negative light. More recently, Yohannan removed two board members from the board of GFA Canada after those board members began asking questions about GFA’s financial dealings. The removal was contrary to the organization’s by-laws. By his own standards, Yohannan’s current GFA fails badly and isn’t a good candidate for donations. According to veteran missionary Billy Bray, the book should have listed him as first author since he wrote much of it. Read more about the authorship of Yohannan’s first three books here. *Believers’ Church is the central organization in India. GFA in the U.S. sends donated funds to Believers’ Church to use them in India via GFA-India and other government registered charity entities.